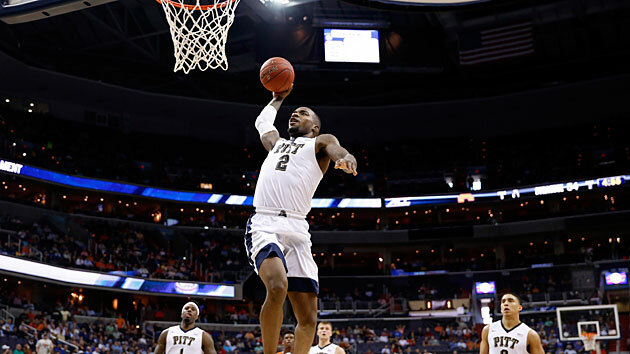 Everything you need to know about the Pittsburgh Panthers as the 2016 NCAA tournament begins. The Case For: After having to settle for the NIT a year ago, Pittsburgh is back in familiar territory, having reached the NCAA tournament for the 13th time in the past 15 seasons. Coach Jamie Dixon has a deep squad in which 10 players average at least 12 minutes per game but only three average more than 19: veterans Young, fellow junior forward Jamel Artis (14.4 ppg, 4.8 rpg) and senior point guard James Robinson (10.3 ppg, 5.1 assists). The Panthers are one of the nation's best free-throw shooting teams at 75.8% and have a +8 rebounding margin for the season, two factors that could help them hold a lead—if they can get one. The Case Against: After jumping out to a 14-1 start in which its only loss came to then-11th-ranked Purdue, Pitt has gone just 7-10. A convincing, 14-point home win over Duke on Feb. 28 looks like an outlier for a team that had only two other wins against NCAA tournament teams after that hot start, both of which came against Syracuse, which many felt didn't deserve a bid. Overall, the Panthers' non-conference strength of schedule ranked well below 300, and the Boilermakers were the only Power 5 conference team Pitt faced before starting ACC play. Outside of the three players mentioned above, the Panthers don't have a go-to scorer, and they shoot just under 35% from three-point range but attempt almost 18 threes per game, so a team's best strategy might be to let Pitt shoot itself out of the dance. SI Prediction: Beat No. 7 Wisconsin in first round, lose to No. 2 Xavier in second round.